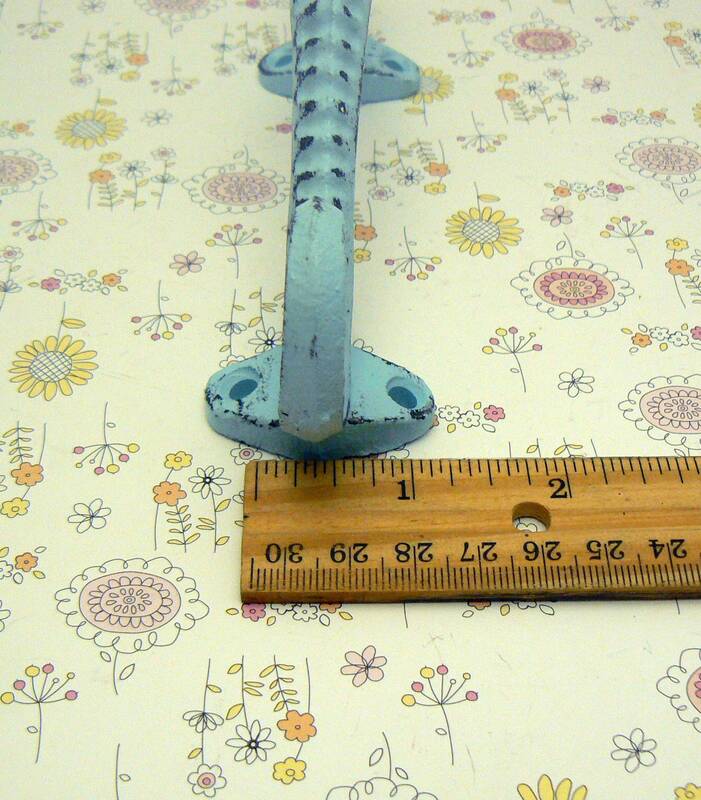 Measures approx 6 3/4" height x 1 1/2" at its widest point"
Juts out from door/ gate / cabinet /drawer approx 2 3/4"
Hole position on the handles measure 4 1/4" from center to center of the hole openngs measuring top to bottom. 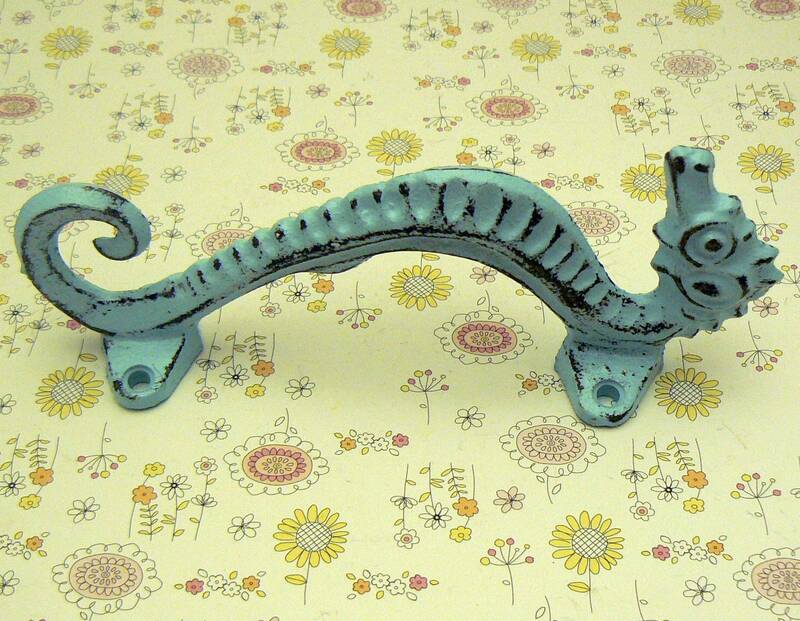 Hole position side to side 7/8" behind his head and behind his tail. 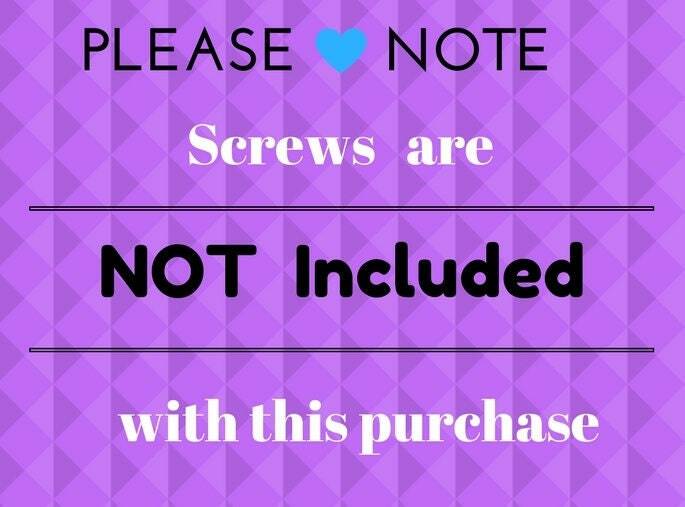 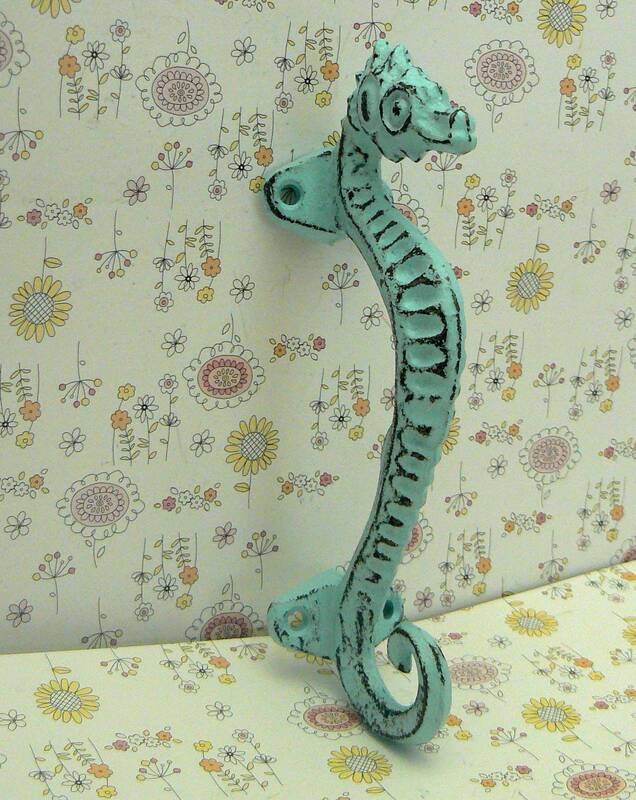 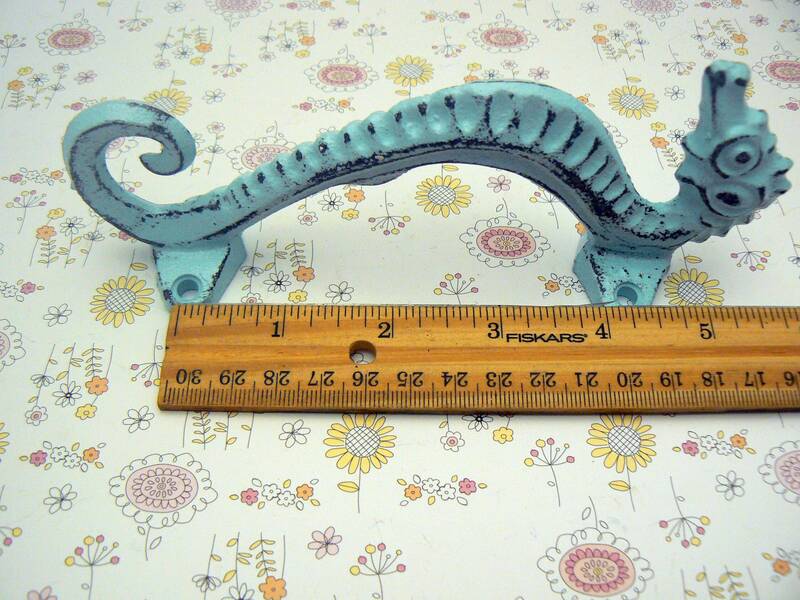 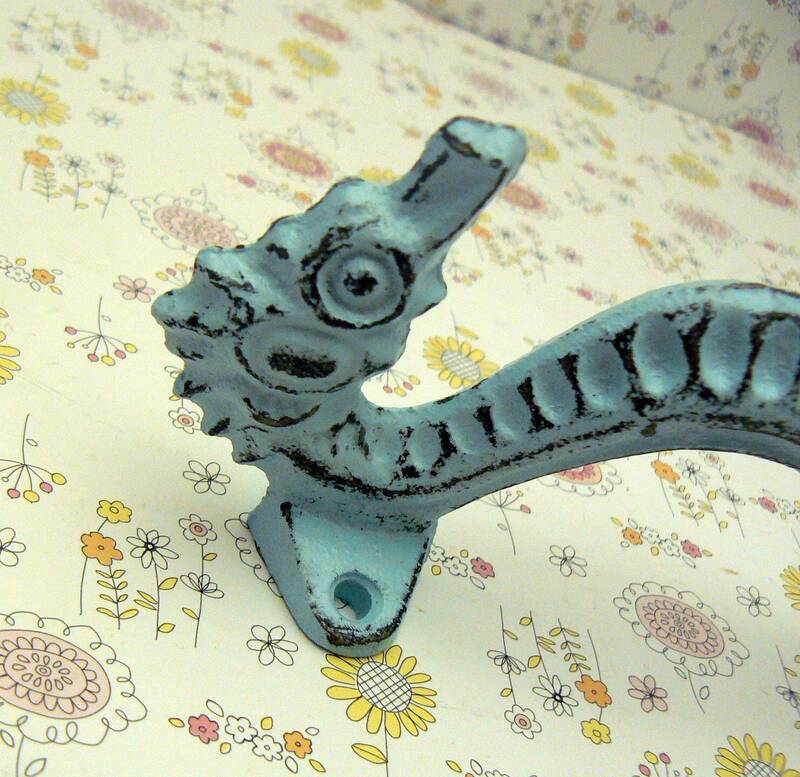 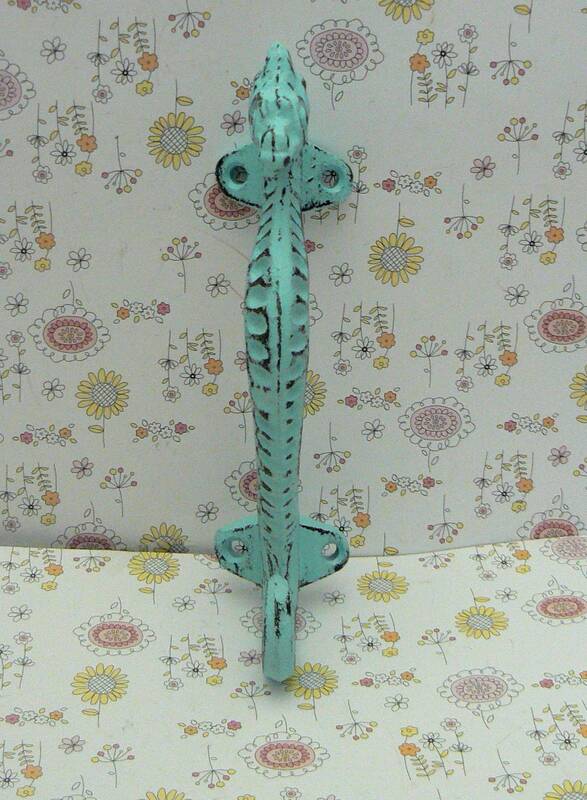 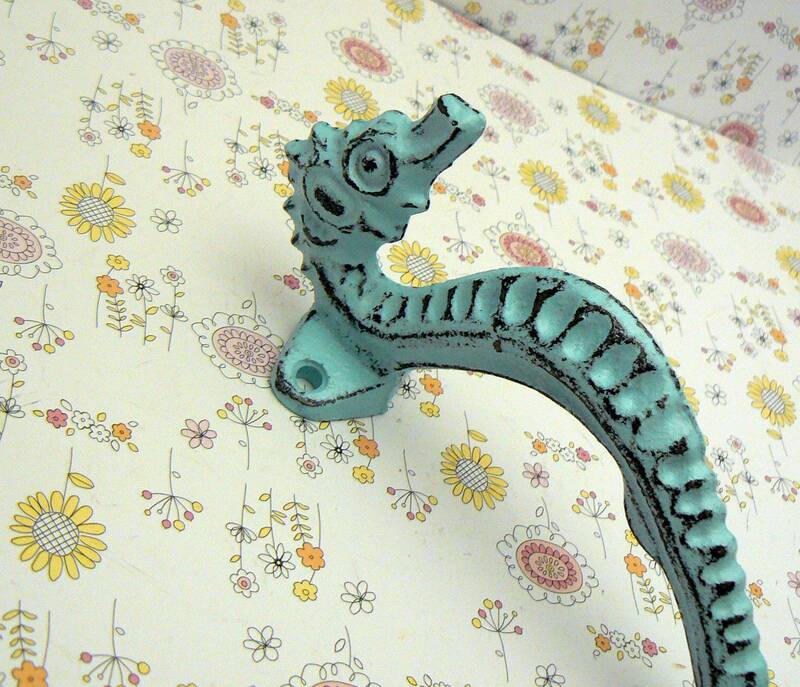 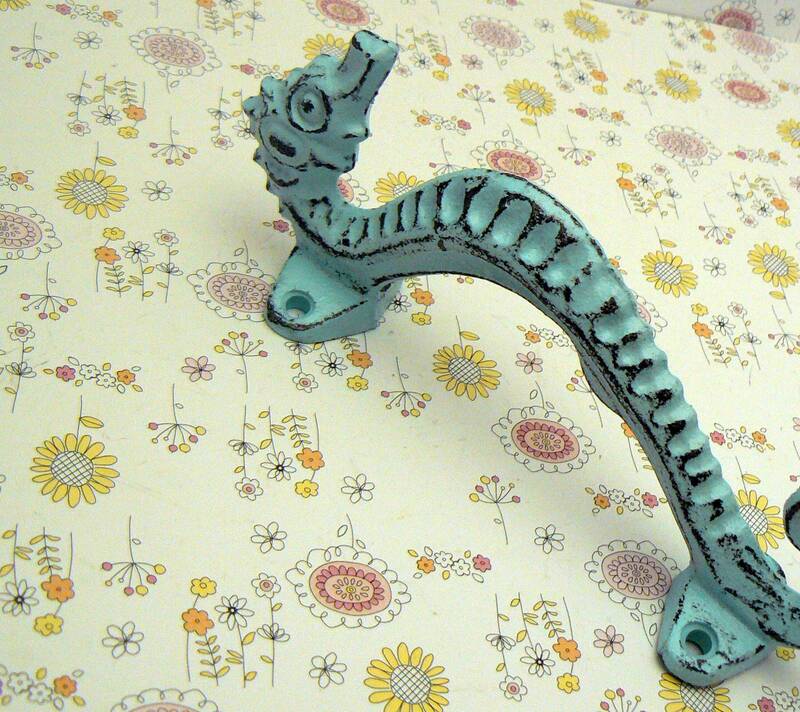 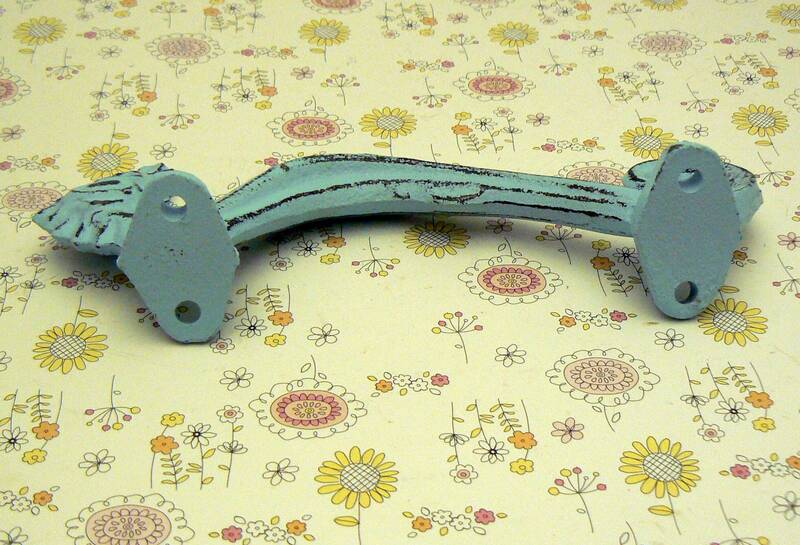 Going on my console cabinet door - along with matching beachy blue octopus drawer pulls - nya ha ha !